VLC Media Player, the platform that's designed to play back virtually any media file, has landed on the iPhone and iPod touch platform. The new Version 1.1.0 brings about a few new improvements on top of making its way from the iPad only to the smaller screen. You can now edit (well, delete) files from within the application rather than having to go through iTunes to clean things up, and more extensions are now being recognised. More importantly VLC promises faster decoding, meaning it's likely that the dreaded MKV incompatibility (due to 'too slow' iPads) could be a thing of the past. The faster decoding is due to assembly optimisations, so we assume that means it can put the video together quickly enough to run smoothly. We also want to see MPG and WMV supported on our iPhone 4 to make this a compelling product. 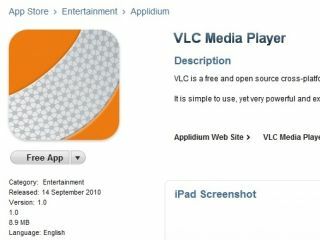 We're currently testing out the new VLC Media Player on the iPhone, so we'll let you know our findings as soon as we can.